Many home gardeners set out to grow bushels of their own tomatoes. Not everyone, however, succeeds. 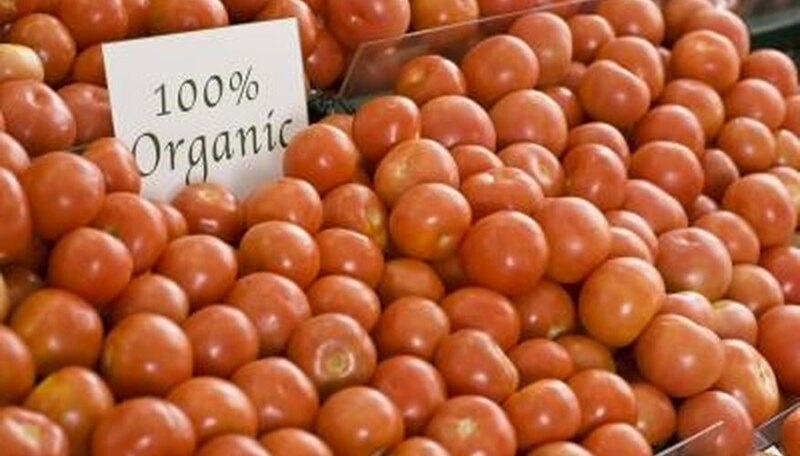 This is usually due to a lack of diligence or a basic understanding of what it takes to grow plenty of healthy tomatoes. Fortunately, increasing your tomato harvest does require a degree in botany, years of experience or strenuous labor. In fact, if you're willing to put in just a bit more time and care throughout the growing season, you should reap the benefits when it comes time to pick your tomatoes. Prepare the soil before planting the tomatoes. If the soil is hard, it must be broken apart. Remove all large rocks from the ground. Add roughly 2 to 3 pounds of 5-10-5 fertilizer for every 100 square feet of garden. Till the fertilizer into the soil with a rototiller or by hand, using a spade. Select healthy seedlings to plant. Specifically, select seedlings are roughly 6 to 10 inches in height and that possess vibrant, green leaves. Avoid seedlings that are wilted or have missing or yellow leaves. By planting healthy seedlings, you increase the likelihood of healthy, adult plants that produce more fruit. Plant the tomato seedlings where they'll receive plenty of sunlight and water. Tomatoes require at least six hours of sun to produce more fruit. If the plant is deprived of either light or water, its yield will suffer. Position the plants so that they are not exposed to high winds, as wind may damage the stalk. If the plant's leaves appear to dry out or begin to curl, it has gone too long without water. The plants should receive 1 to 1 1/2 inches of water every week. Fertilize the tomato seedlings as soon as they're placed in the soil. Combine a mixture of 5-10-10 fertilizer with one gallon of water. Pour one pint of the fertilizer mixture around the base of each tomato seedling. Stake the tomato plants. Left on their own, many tomato plants will grow outward and become bushy. This will lead to increased stem and leave growth. It will also cause the fruit to come into contact with the ground, leading to rot. Avoid this by placing 6-foot stakes approximately 6 inches from the base of the plant. As the tomato stalk grows, loosely tie the stem to the stake with bits of old cloth or string. Prune the tomato plants. Remove suckers from the tomato plants throughout the growing season. Suckers are the small shoots that sprout between the stalk of the tomato plant and its main stems or branches. If left to grow, the suckers will steal valuable sugar from the plant, limiting the amount of fruit it produces. Use your fingers to pinch off small suckers. If large suckers are present, use pruning shears. Staking your tomato plants may slightly reduce the number of tomatoes on each plant. However, staking will increase the amount of space available in your garden. Thus you will be able to plant more tomatoes and increase fruit production. Washington State University Extension: Healthy Tomatoes -- Can We Really Grow Them Here?